The 2019 St. Patrick's Day Parade in Philadelphia is Sunday, March 10. It's a good weekend to hang out with friends and family. There are International Women's Day events, the annual St. Patrick's Day Parade and the return of the Travel and Adventure Show. Get all the details on what's happening in Philly below. Beginning Thursday, there will be karaoke, stand-up and other special events benefiting the nonprofit Girls Behind the Rock Show. On Friday, The Logan will have a build-your-own bouquet bar. Stop by the hotel to make a thoughtful flower arrangement, then gift it to a fierce female in your life for International Women's Day. If you're thinking of booking a vacation, this is the place to go for tips from travel experts and amazing deals. This year, you can also apply for a passport at the show. Ready for St. Patrick's Day? 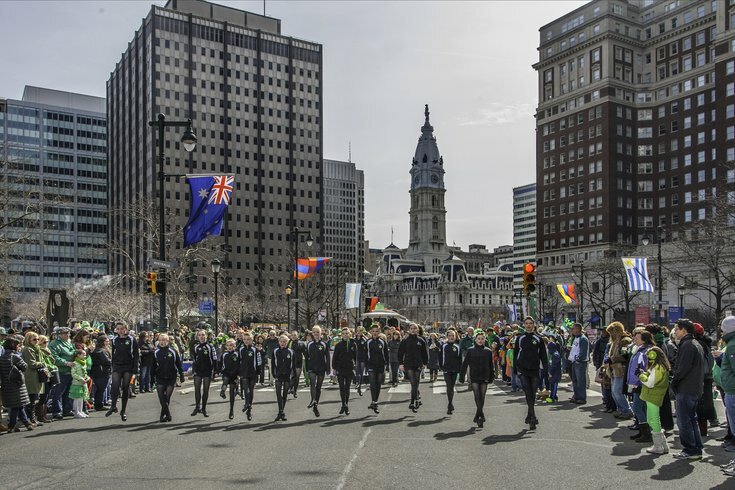 Celebrate the holiday early with Irish dancers, decorated floats, marching bands and music groups at Philly's St. Patrick's Day Parade on Sunday. Extend your weekend with this Monday night event in Old City. Grab a pal and head to the movies to watch some of the best cat videos out there. The event benefits local animal shelters. If you haven't yet, make a reservation at one of King of Prussia's many restaurants. There are more than 30 participating, including Fogo de Chao, Seasons 52 and North Italia. Restaurant Week starts Monday and runs through March 17.